Centaur Media, a FTSE 250 publisher and event organiser, is one of my smaller legacy holdings - as it was not bought on yield grounds I have excluded it up to now from the DIY Income Investor portfolio. It has fared poorly since purchase, so has not been a good investment. What is more, today its share price has just dropped nearly 15% - on no obvious news that I can identify. 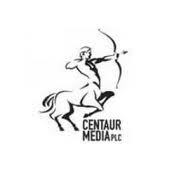 However, paradoxically, this means that the yield on Centaur Media has increased substantially; following today's price fall the yield is now running at over 7% - bringing it firmly into high-yield territory. So, is this one to shun or take a shine to? Exhibitions, comprising a portfolio of trade exhibitions and the specialist consumer portfolio led by the leading brand Homebuilding & Renovating. Last year the company announced it was restructuring itself into three main operating divisions to accelerate revenue and margin growth, saying the plan will result in significant cost savings and operational benefits. The company has also been making acquisitions, most recently The Profile Group, a specialist digital information business. Likewise, the half-year results - published in February 2012 - look fairly reasonable. Of the three divisions, it is clear that the star performer is Business Information, which has an 'adjusted EBITDA margin' of 37% - compared with margins of 2-6% for the other, more traditional activities. However, this division only accounts for a small share of income - albeit a growing share. This looks like the market segment to watch. But the key fact in the half-year results is the cash flow: it is negative (compared with a positive cash flow in the previous year's half-year). The negative turn is not great but this trend is definitely not a good thing, although it may be connected with the overall profile of income and the latest acquisition. Digital Look reports that two of the three brokers following the company give it a strong buy (the other broker rates it a buy). Forecast dividend yield looks OK at 1.9. So, nothing obviously seriously wrong with the company but the recent dramatic fall in share price is worrying as it implies some inside - and as yet unpublished - information about a problem. However, if nothing bad emerges over the next couple of days, I might even consider buying some more shares and bringing this holding 'in from the cold'. When you write '7% yield', what are you measuring? Does the company issue dividends? Yes, dividend yield - the income that you receive for holding the share. I'm not convinced by this share, looking at the fundamentals over the last 5 years share price, revenue, pre tax profit and actual dividend paid show a downward trend. If I owned this share although painfull I would cut my losses and look for a better dividend share.